Here are a bunch of photos of my new mitts. Didn’t they turn out lovely? The colors on this camera are so spot on I can hardly handle it, no color correcting or levels adjustments needed, and if I can avoid extra Photoshop I’m all for it. 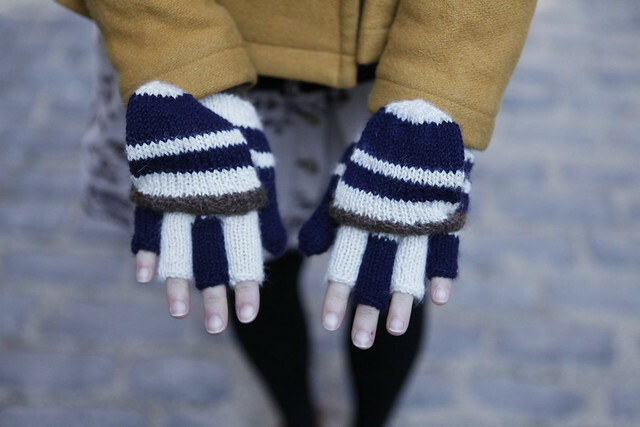 Anyway, these mitts are made from Blue Sky Alpacas Sportweight, which has to be my all time favorite yarn. It’s so strong, soft, warm, amazing vibrant colors, need I go on? 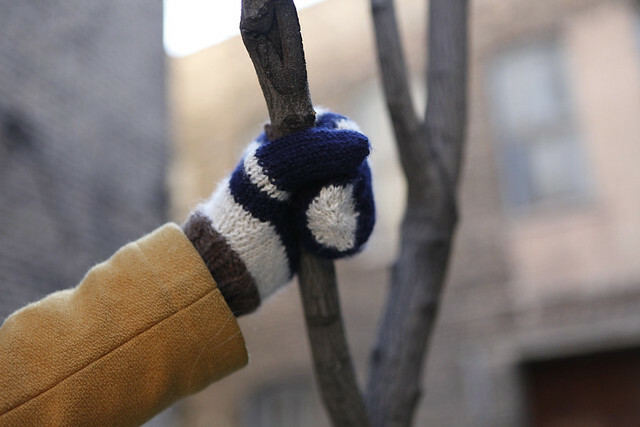 I didn’t use a pattern per say, I swatched and worked off the favorite points of my favorite gloves and mittens with some help from Vogue Knitting, my every trusty friend. I’m so happy with the result, and have been imagining these for a while, but was spurred into action recently by the horrid nightmare of knitters everywhere…MOTHS!!! Omg they ate my favorite mittens. More on that later…ugh! Those are so awesome!! 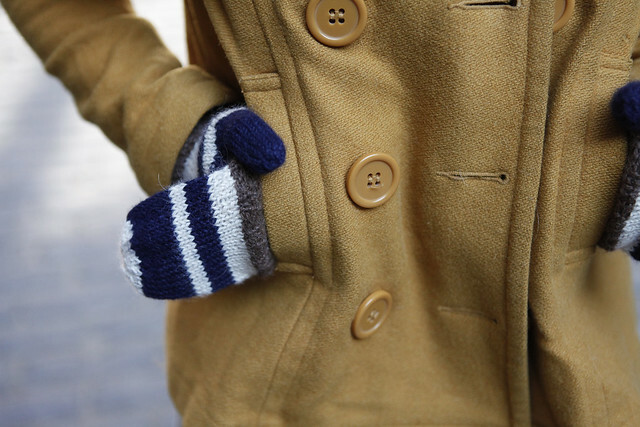 Love the flip top mitts, very practical, and the stripes look great. Love them! So pretty! They look amazing with your coat. Great color choice! Way to rock it, lady! Moths are horrible. A few years ago, our building got full of moths and they destroyed all of Dan's sweaters (but not mine…strange I know). Claudia – usually we have the exact opposite problem here…except for this time! Boy it stings! Moths are my nemesis! Ever since I moved into a 100+ year old apartment building we have them. We got pheremone traps that actually work really well. Ugh. I am so grossed out by every and all moths now. Disgusting. 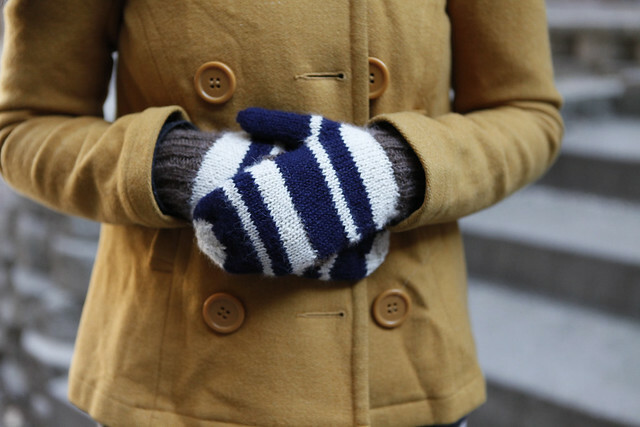 Beautiful mitts, by the way! I’m just picking up my knitting needles for the first time since last winter.